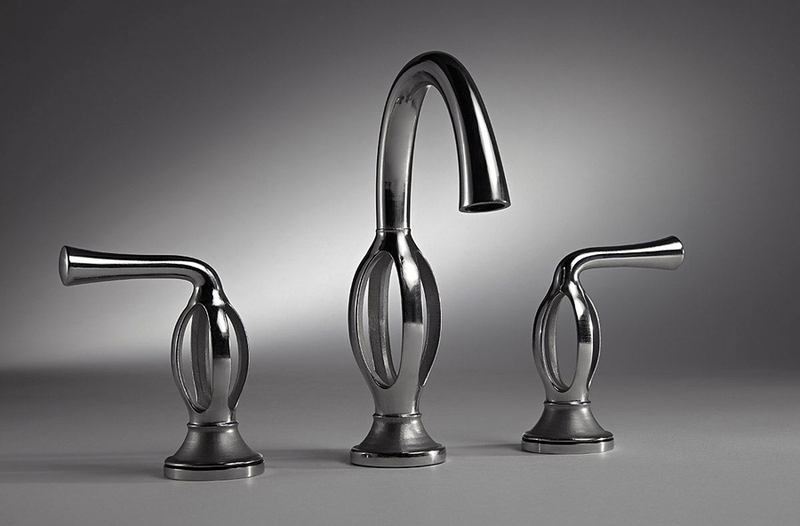 Take a look at 3D printed faucets! DXV by American Standard is taking it to the next level with their brand new creative faucet designs created with 3D printing technology. Using selective laser sintering, each faucet takes about 24 hours to be printed out of solid metal. It is then hand-finished to create a more polished look. This faucet was focused on designing the experience of water, mimicking that of water trickling through a riverbed. Using Computational Fluid Dynamic (CFD) technology to adjust each of the 19 waterways, the design team was able to achieve the proper effect. The other two faucets are focused on reinventing the way that water is brought to the user. Through the high strength of the alloy, concealed waterways are hidden inside and converge at the top, shortly before reaching the mouth, making it appear like magic! They will be available through an exclusive network of showrooms, likely within the next 12 months. Wow, there’s going to be a lot of angry maids in the future, if this kind of thing continues.